I’m not sure if I’ve yet mentioned that in addition to all of the other hats that I put on I’m also a middle school basketball coach. The reason I bring this up is because a few weeks back my team hit a three game slide and it was time to take a long hard look in the mirror and ask the kids to step it up or get to steppin’. That may sound kinda harsh but a lotta these kids don’t have any work ethic. They want to start, they want playtime, they wanna play offense but they don’t want to put in the work that it takes to get where they need to be. It’s a lack of values that’s pervasive in our society as a whole. I even see it with professionals – rather people with careers that should be acting like professionals. Whether it’s sports, politics, or the entertainment world. When it comes to Hip Hop, it’s the hard workers and individuals who don’t just rely on their talent, but combine that with output and diligence, that I most respect. They say that success is one part inspiration and ninety-nine percent perspiration, that’s a hard point to argue against. Today we get into a little food talk with one of Hip Hop’s hardest workers, not waiting for the game to come to him but taking it to the game. This dude put out 10 albums in one trip around the sun a few years back. And not just throw away, half-assed material. Some of the best tracks of his career came out during that time. I bring up work partly because of what he’s doing in the studio but also in recognition of his dietary choices. The other day I was talking to a co-worker who mentioned that he knew he should stop drinking sodas but thought it was too difficult to undertake. He’s right. Taking on an alternative diet and lifstyle from the mainstream norm of fast food and super-processed, highly sugary intake is no easy task. It takes work. Work in terms of going out of your way, staying committed, and doing whatever it takes to maintain that lifestyle. The late great basketball coach, John Wooden, said that nothing will work unless you do. Work ethic isn’t just a great idea, it’s a way of life. You might know LMNO from his work with Visionaries. I think the first time I heard him (and the rest of the Visionaries crew) was on the World Famous Beat Junkies Vol. 1 & 2 compilations. He’s put out a plethora of independent work (albums, EP’s and guest verses) with some of the best and most sought-after producers making noise. If any of this is news to you, homework has been assigned. But enough about work…let’s get into some food talk. LMNO: Music is like a potluck, I bring those conscious “healthy entrees” & side dishes that people are afraid to try because it’s labeled “vegan” & by the end of the night they’re asking me for the recipe. TKM: Do you get down in the kitchen? How would you rate your skills? LMNO: Yes, I like to cook… I don’t have any Michelin Stars though, I am grateful to be eating good for sure. 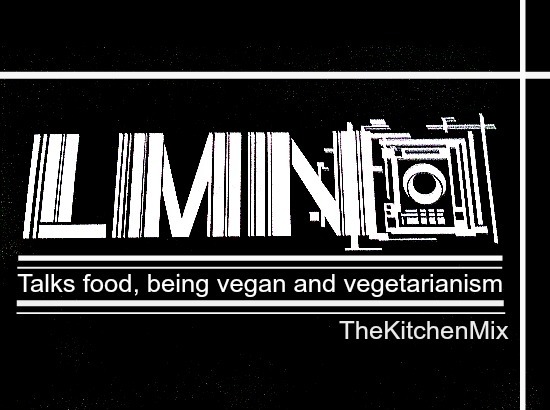 TKM: What prompted the switch to vegetarian/vegan? How long have you followed that diet? LMNO: I first cut out pork (Big Up Sadat X) then red meat & turkey before I ever thought of being vegetarian. Chicken was the hardest to give up, I never ate fish so that was no problem. It hit me one day – I’m paying people I don’t know, that don’t know me, to kill these animals that I wouldn’t kill to begin with. So then all arrows pointed towards vegetarian/vegan food which is now about 13 years ago. TKM: What types of foods are you trying to gravitate towards and what are you trying to avoid? LMNO: Fresh food is the best! I’ve been staying away from GMO’s as much as possible, I am in the isles checking barcodes & reading labels. TKM: That’s the way to do it. 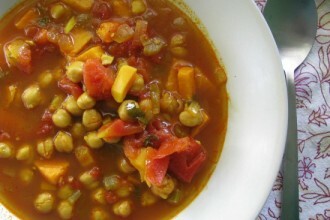 How about sharing one of those recipes that non-vegans usually enjoy. Something for our non-vegetarian readers. TKM: What would you say are the biggest differences between food culture here in the U.S. and food culture in other countries? LMNO: The biggest thing that sticks out to me is the portions but it also depends on where in the U.S… that’s hard to generalize. 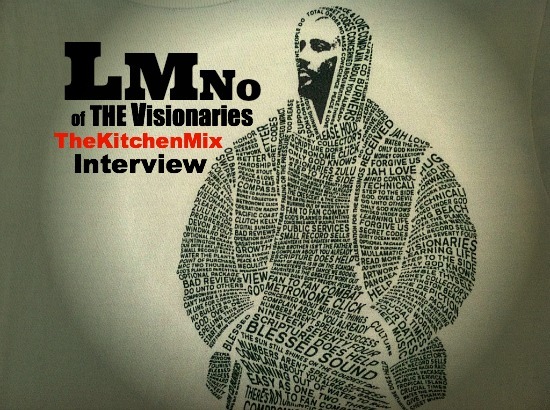 TKM: Who would you say is the best chef in the Visionaries crew? LMNO: Dannu gets down… Zen & Key do to, I don’t think I’ve ever seen 2MEX or Rhettmatic cook… We’ll have to have The Visionaries/Iron Chef episode one day to see. TKM: If you could make a meal for anyone, who would it be? If you could have anyone make you a meal, who would it be? LMNO: That would be cool to make the meal that made Anthony Bourdain vegan & it would be cool to eat a meal by Bryant Terry. TKM: With all of your touring and traveling, what do you think are the best cities for food? LMNO: Long Beach, CA. Los Angeles, Seattle, San Francisco, Chicago, Portland, Brooklyn, NY, and Austin, TX stand out to me. TKM: Why is food important? LMNO: Food fuels the mind, body & soul. If he says that food fuels the mind, the body and the soul, and that fuel is keeping his work output at such a high and consistent level, maybe he’s on to something. Maybe what we eat matters and maybe he’s got a great recipe that you’re really going to enjoy. Sounds right to me.